Animals Favorite Pet Stairs, 3 Steps Ramp Ladder for Dogs, Portable, Supports Up to 20 lbs. Product prices and availability are accurate as of 2019-04-20 21:00:25 UTC and are subject to change. Any price and availability information displayed on http://www.amazon.com/ at the time of purchase will apply to the purchase of this product. 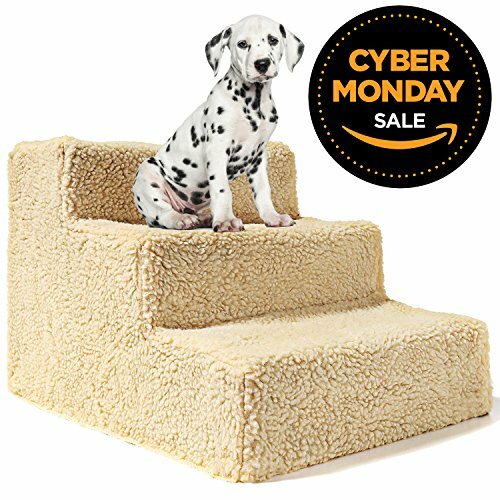 Animals Favorite's pet stairs gives your furry friends easy access to their favorite spots. Not only great for small dogs who struggle reaching taller areas, these stairs are great for seniors that have trouble jumping and cats or dogs with joint problems. Extremely stable, while having an attractive soft cover, these stairs let your pet climb with confidence. 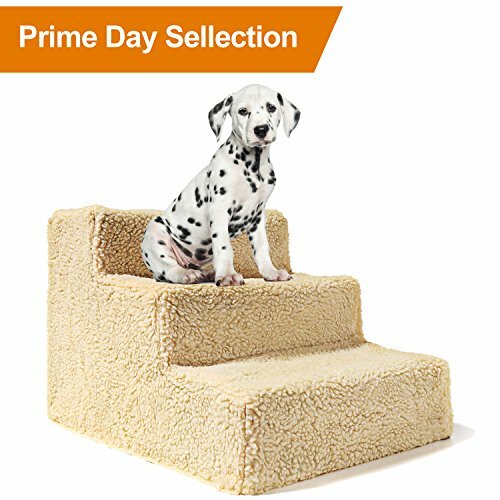 Perfect for helping pets reach high places soft cover let your pet climb with confidence Ideal dog stairs for small or medium-size dogs, senior, arthritic or recovering pets Pet Stairs provide stability for your pet go up and down the steps Portable, easy to store and transport. 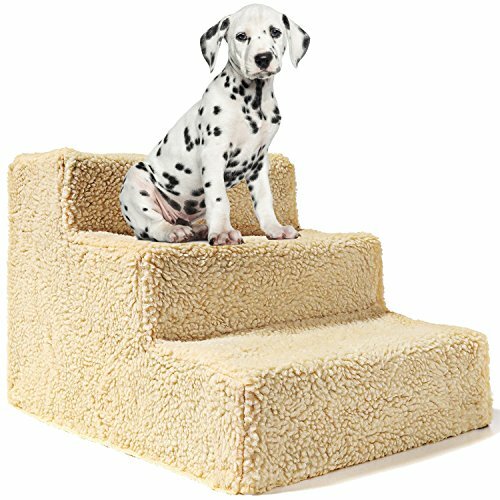 Easy assembly, no tools required Pet Steps dimensions: 14" (L) x 12" (H) x 17.7" (W). Weighs only 2.6 lbs. and support up to 20 lbs.